It’s a management game with a bit of action. You own a gladiator house and your goal is to build strong gladiators team, fight in the arena and complete side quests to earn extra stuff. The game was accepted pretty warmly and we like it too, though we had to remove it from Kongregate — see the details below. First of all, we love Kongregate audience, because they comment a lot, so there is a lot of quality feedback coming from the players. Besides, you can respond, and the players read your answers and react to it — it is always great. 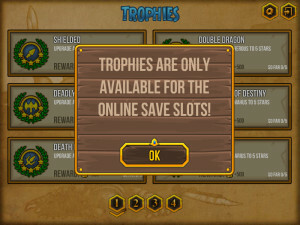 There were a lot of negative comments right from the launch date regarding the game branding, that the players found explicit — the sponsor’s logo on the closing doors transition screen, and especially, the fact that the game trophies (achievements) were only available for the players who created id.net account and used the online save slot. The game rating was correspondingly low — around 3.3. 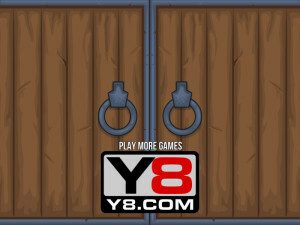 I forwarded the players’ feedback to the sponsor — Y8, but after some consideration they decided to keep the branding as it was and not to make a special version for Kongregate with the trophies lock or gates logo removed. The deal with Y8 was exclusive, so we had to obey. 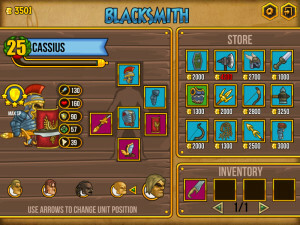 We made a fresh build with some bug fixes and balance tuning and uploaded it to Kongregate. We also tried to explain to the players, why we can’t remove the trophies lock or the logo on the gates — and the players understood and accepted it — the game rank went up and almost reached 4! And it let the game appear in hot new games list at the first position! That in turn made the Kongregate stuff notice the game. Soon I received a message from the Kongregate moderators, asking to remove the external login system from the game, since it is not allowed on Kongregate. And it truly is. When I was submitting the game, I noticed it, but I saw a couple of other games on Kongregate that had external login, so I thought it’s ok since the game doesn’t have any microtransactions or ads. We contacted Y8 again and informed them that the game was about to be removed from Kongregate. They still didn’t want to make any changes… So I asked the Kongregate moderators to let us leave the game for one extra day to collect more feedback, and notified the players that the game would be removed. A lot of them were disappointed by this fact, but we couldn’t do anything to make it stay. 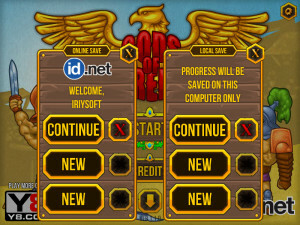 The funny thing is that when it was time to remove it, I couldn’t do it — the Kongregate interface just doesn’t have an option to remove the game, lol. So I had to ask the moderators to delete it. There is no Gods Of Arena on Kongregate anymore. But it’s still on Newgrounds and feels well there. 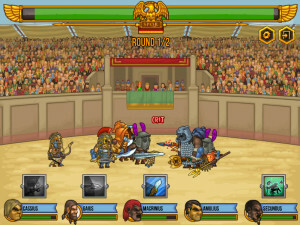 The game was featured on the main page and it’s among the top monthly played games. In conclusion I must say that Y8 is a decent sponsor and we are happy with the deal we had with them regarding Gods Of Arena. But if you plan to go for an exclusive deal with them, be warned, that you won’t be able to publish your game on Kongregate. Не совсем. Часто при выходе не происходит сохранение. И когда потом захожу то не сбрасывается весь прогресс а загрузка идет с сохранения которое сработало раньше. То есть проще говоря при выходе из игры при сохранении ид.нэт где то в пятидесяти процентах сохраняется, а в остальных пятидесяти нет. Странно, ни разу не видел подобных комментариев. Я сампопробовал на том же сайте поиграть — всё в порядке. А нет возможности записать видео, как там происходит ошибка? Выяснилось, что ID.NET поменяли немного работу сервера, а точнее — сервер теперь не обрабатывает запросы на сохранение, если они приходят слишком часто. Это привело к неправильной работе игры, будем исправлять. Понятно. Буду ждать исправления. Спасибо. Здравствуйте, у меня есть один вопрос как работает система сохранение при онлайн сохранении. Просто прохожу много на следующий день захожу, а сохранение с самого начала игры. не знаю что делать. Заранее спасибо. Привет! А вы на каком сайте играете? И ещё. Когда играю с локальным сохранением то всё отлично сохраняется. Работает вроде у меня. А можно скриншот экрана выбора профиля? Сейчас попробую поподробней объяснить. Есть два сохранения. Локальное справа и сохранение id.net слева. Когда пользуюсь сохранением id.net то при закрытии игры сохранение похоже не происходит. И когда потом захожу в этот слот то там сохранение с самого начала. ОК понял, то есть у вас есть аккаунт ID.NET, вы выбираете первый онлайн слот, играете, а потом при перезапуске что происходит? Слева появляется сохранение, но если зайти в него, то игра не продолжается, а начинается с начала — так? Друзья, вы суперкруты! Спасибо за все, что вы делаете! Писал уже на конге, повторюсь: игрухе дико не хватает счетчика боев. Прохожу уже раз в 10-й, replayability у нее отличный. И в качестве мотиватора хочется видеть в финале что-то типа: «Grats! It took NN days to finish», чтобы можно было меряться с самим собой. Ну учитывая, что его относительно быстро снесли оттуда, 4 — это прилично так. (Это девелоперу только видно? У меня линк на игру на конге мертвый) Про себя преувеличил конечно, но точно раз 5 уже доходил до финала суммарно на конге, y8 и NG. Previous Post: Hi, there! This is us, IriySoft, speaking.